OSLO, Norway – The Arthur Svensson International Prize for Trade Union Rights has named ACT Party-list Rep. France Castro a recipient of the award, citing her work in advocating for the rights of her fellow teachers and other workers. The sectoral lawmaker was invited to Oslo to receive the prize at Rockefeller on June 12. She will receive a cash prize of 500,000 kroners or around P3 million. In its statement, the foundation cited the International Trade Union Federation as saying the Philippines is “one of the 10 worst countries in the world for workers and union stewards” and that “the country does not respect basic workers´ rights: The right to organize and collectively bargain, and the right to protection against child labor, discrimination and forced labor." “In a context of extreme state violence in the country and suppression of civil liberties, workers, and union activists face threats and intimidation from both the regime and companies, and have to fight for their rights,” the Foundation added. “Despite threats and intimidation there are brave people who fight for democracy and human rights. Some active trade unionists, in particular journalists and teachers, have been targeted by the regime and those around them. Some have been killed or imprisoned. Death threats are common. The last months, police officers have organized illegal profiling and vilification of unionized teachers, a massive union-busting and invasion of teacher´s privacy,” it added. The foundation also cited Castro's work in and out of the House of Representatives and her organizing work in the Alliance of Concerned Teachers (ACT) that rose in a short period of time from 2016 to one of the country´s biggest unions for teachers. Its work had led to the signing of the first-ever collective bargaining agreement for teachers that recognized their right to strike. The foundation also noted her arrest in November 2018 by paramilitary forces under a solidarity visit of a Lumad school in Talaingod Mindanao. “Today, teachers and their unions, who are simply fighting for decent salaries and benefits and humane working conditions are being profiled and spied upon by the police and military as so-called rebels and terrorists," her statement read. She was referring to alleged profiling of ACT members by police in different schools around the country. 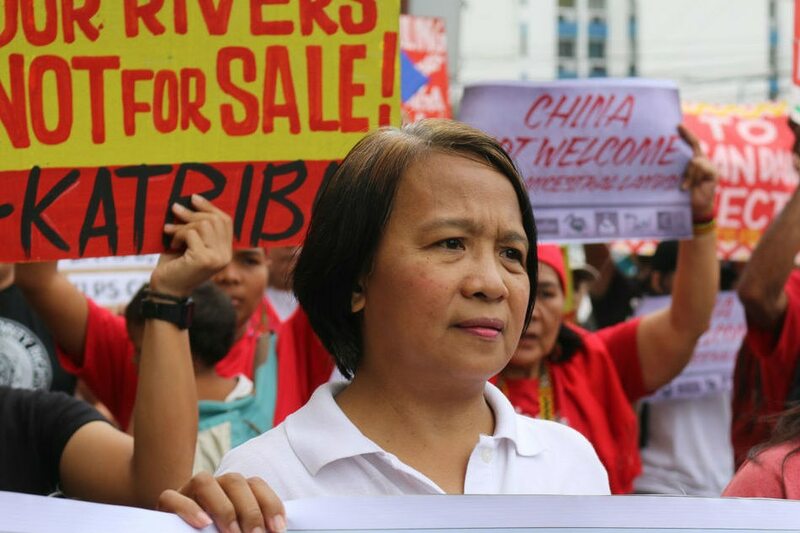 "Those with whom they stand in mutual solidarity in their struggles, such as Lumad peoples in their fight for their rights to education and lupang ninuno (ancestral domain), and other workers in the public and private sectors in their fight for a living wage, are also attacked by an administration who thinks that standing up for one´s rights is a crime,” the statement added. She also hoped that the Svensson prize would “highlight our struggles here and uplift the morale and fight spirit of the teachers not just here in the Philippines but around the world as well.